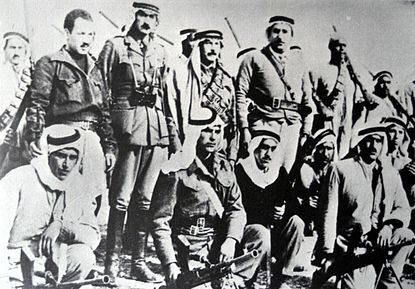 The Army of the Holy War or Holy War Army (Arabic: جيش الجهاد المقدس; Jaysh al-Jihad al-Muqaddas) was a Palestinian Arab irregular force in the 1947-48 Palestinian civil war led by Abd al-Qadir al-Husayni and Hasan Salama. The force has been described as Husayni's "personal" army. 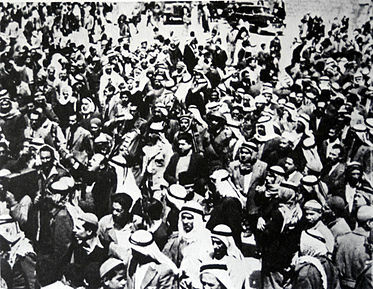 The Arab League set up the Arab Salvation Army (Jaysh al-Inqadh al-Arabi) as a counter to the Army of the Holy War and as part of its plan to contain the Palestinian Arab leadership and to prevent it from exercising independent political or military options, although in practice the Arab governments prevented thousands of volunteers from joining either force. Abd al-Qadir al-Husayni arrived in the Jerusalem sector in December 1947 and by March 1948 had about 128 men. He established his headquarters at Bir Zeit and started to conduct a blockade of Jerusalem by attacking the Jewish convoys to the city. Hasan Salama, with 950 men of the Jihad and 228 irregulars, took responsibility for the operations in the Lydda and Ramle sectors, at the entry of the Tel-Aviv-Jerusalem road. The Army of the Holy War had over 50,000 Palestinian Arabs available for local defense but a force of only 5,000 to 10,000, both foreign fighters from Arab states and Palestinian Arab militiamen, available to be sent where needed during the Israel war of Independence. Husayni was killed during the battle for control of Qastal Hill on the Tel Aviv-Jerusalem road, on 8 April 1948. His forces captured Qastal from the Haganah, which had occupied the village at the start of Operation Nachshon six days earlier with a force of about 100 men. They retreated to the Jewish settlement of Motza. Palmach troops recaptured the village on the night of 8–9 April; most of the houses were blown up and the hill became a command post. Husayni's death was a factor in the loss of morale among his forces. When the All-Palestine Government was formed on 22 September 1948, during the 1948 Arab-Israeli War, it revived the Holy War Army, with the declared aim of "liberating Palestine." However, the Government had no money of its own, and operated only under the supervision of Egypt, and was generally ineffective. 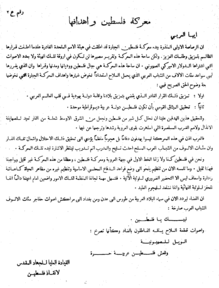 In October 1948, Jordan gave an order to its forces, the Arab Legion, to surround and forcibly disarm various units of the Holy War Army. Husayni's funeral at the Al-Aqsa Mosque in Jerusalem. ^ Hourani, 2004, p. 537. ^ Pappé, 1994, p. 65. ^ Sayigh, 1999, p. 14. ^ Khalaf, 1991, p. 207. ^ Morris, 2008, p. 107. ^ Dupuy (1978) p. 41. ^ Morris, 2003, p. 234. ^ Dana Adams Schmidt, 'Arabs Win Kastel But Chief is Slain', New York Times, 9 April 1948, p. 8 (A brief biography and account of the battle). ^ Morris, 2003, p. 235. ^ Simon, Mattar and Bulliet, 1996, p. 114. This page was last edited on 27 March 2019, at 23:20 (UTC).